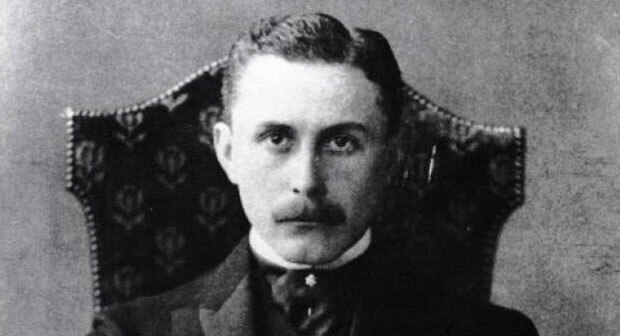 Adolf Loos, an influential residential designer, was born in Brno, Moravia, Austria-Hungary on December 10, 1870. Son of a stone mason and sculptor, Loos remained deaf until he was 12 and spent rest of his life as hearing impaired. This is the reason that he spent his life alone even as an artist. He got an introduction of building craft at an early age because of his father. He attended the Royal and Imperial State College at Reichenberg in Bohemia and later studied architecture at the Technical College in Dres den from 1890 to 1893. After completing his studies Loos stayed in America for three years and kept moving around. It was because of this stay that his developing tastes broadened. After this time Loos worked with a lot of dedication and got associated with different architectural firms. The international fame of Loos started with his writings. He initiated a series of polemic articles in which initially he did not address architecture directly. Loos was against Art Nouveau and Beaux-Arts historicism, that is why he always discouraged the use of excess ornamentation right from the start of his career. The very first building designed by Adolf Loos became famous for its organic simplicity. Loos even published an essay with the title, “Ornament And Crime,” through which he started off official opposition against art nouveau. Loos was of the opinion, that gained international fame later, that simplicity in architecture was related to spirituality while on the other hand excess of decoration was equal to crime. He regarded unnecessary ornamentation as waste of material as well as a threat to labor economics. He insisted on the fact that workers were not getting fair prices for their labor and hard work for the production of an outdated fashion i.e. surplus decoration. He further proposed that ornamentation was masking the originality and genuine nature of materials. In that essay Adolf Loos stated that the material in its original form depicts the true vocabulary of architecture , and that a building should remain “dumb” on the outside. Even though Loos started his practice in an era when art nouveau was at its peak but still he managed to stay unaffected by it. He remodeled a number of residential projects and used materials in their truest forms without any external ornamentation and moldings. He was the one who set examples of modern architecture in the time of heavy ornamentation. Loos introduced the use of masses and blocks with flowy interiors and focused majorly on architectural composition of volumes. Adolf Loos played a vital role for exposure of international style architecture. Plain facades, undecorated horizontal windows, open plans, flat roofs and white walls aroused opposition too but soon Loos’s style bagged popularity among young generation of architects. Both his writings and buildings had very strong impacts. He supported the dependence of form on functionality and promoted the simplicity. Despite Loos’s love and passion for functionalism, he never let go of the respect he had for classical ancient architecture. A proof of which is the use of antique elements of ancient architecture in his buildings. One major factor that he always kept under consideration while working on those classical elements was that what people of those ancient times would have done with these methods and techniques given the circumstances of modern times. Loos faced a huge scandal in his life for keeping young girls between the ages of 8 and 10 as his studio models. It was during the hearings of this case when he started showing early signs of dementia. Thus eventually becoming a victim of stroke as well, Adolf Loos died on 23 August 1933 in Kalksburg near Vienna at the age of 62.